Please print off the registration form & waiver, fill it out and bring it with you (one per runner). Find the registration form & waiver (PDF) HERE. Pay now online or bring your payment with you. Click “Make a Donation” below to pay now online. 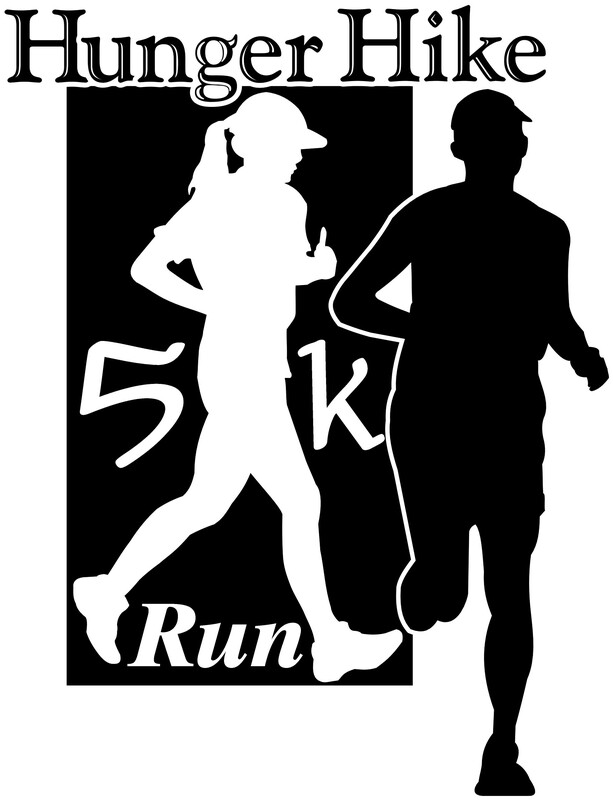 Step 1: Please print off the registration form & waiver, fill it out and bring it with you (one per runner). Find the registration form & waiver (PDF) HERE. Step 2: Pay now online or bring your payment with you. Click “Make a Donation” above to pay now online. Pay Online – click the button below and complete your payment through PayPal. Pay by Mail – Make checks payable to Hunger Hike; and mail to Hunger Hike, 420 N 4th Street, Lafayette, IN 47901. Pay in Person – stop by the LUM Office (420 N 4th Street, Lafayette, IN 47901), Monday-Friday: 8:15 a.m. – 4:30 p.m.
Just as she did as a player, head coach Sharon Versyp has put her stamp on the Purdue women’s basketball program. The former Boilermaker point guard has led Purdue to four Big Ten Tournament championships and two NCAA Tournament Elite Eight appearances in her nine seasons as the head coach at her alma mater. She is the second-winningest coach in Purdue history, earning her 180th victory on the Boilermaker sidelines on Feb. 20, 2014, and earned career victory No. 300 with an NCAA First Round victory on March 22, 2014. She has compiled a 194-108 record with the Boilermakers, an average of 21 wins per season, a 311-173 in 14 seasons as a Division I head coach, and her current contract has secured her presence on the Boilermaker sidelines through at least the 2019-20 season. 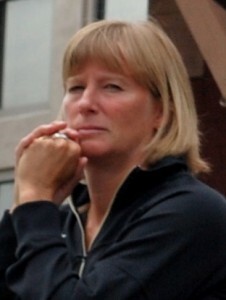 Coach Kucik has been Purdue University’s Head Rowing Coach since August 1995. He began rowing in 1964 at Marietta High School. Since then, he has never been far from the sport. His high school crew earned bronze medals at the US Schoolboy National Championships in the spring of 1966. He attended college at Marietta College for one year before acceptance to the United States Naval Academy in 1969. 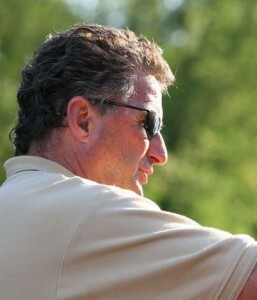 As a collegiate rower, Kucik won all three major regattas; the Intercollegiate Rowing Association (IRA) Regatta, Eastern Spirits and the Dad Vail Regatta. All Hunger Hike proceeds benefit the Lafayette Urban Ministry Food Programs, Food Finders Food Bank, Inc. & St. Thomas Aquinas’ Haiti Ministry. Learn more about the Hunger Hike sponsoring organizations. The Lafayette Urban Ministry (LUM) is an organization of more than 40 churches that serves as a social safety net for Lafayette’s needy children and families. For over 40 years, LUM has worked to give back the hope, the future, and the self-respect to low-income people in the Greater Lafayette area. LUM takes an active role in trying to change social injustices and improve the quality of life for the poor of Indiana. Several times a year, the Haiti Committee at St. Thomas Aquinas travel to St. Francis Xavier Church in Baudin, Haiti. St. Tom’s has over the decades offer medical treatment, administered medicine, improved the quality of water, assisted with strategies to grow food, store food and produce and store seeds. St. Thomas Aquinas serves as the Catholic Center at Purdue University. The parish engages the youthful energy of all its members to nurture their faith journey across all generations through liturgy, spiritual and intellectual formation, stewardship, and justice with peace. They joyfully welcome all who wish to meet life’s challenges through lived faith in Jesus Christ. Since 1981, Food Finders Food Bank has been a critical component of the welfare of Tippecanoe and 15 surrounding counties in Indiana: providing food to member agencies, advocating for the hungry, and educating the public about hunger-related issues. Funded by United Way, foundations, grants, the USDA, corporations, sponsors, and individual donors, Food Finders Food Bank annually distributes more than 7 million pounds of food to a network of non-profit organizations that work to alleviate hunger throughout north central Indiana. If you’re interested in becoming a 2019 Hunger Hike event sponsor, please call or email us (765-423-2691 | hungerhike@lumserve.org). Here are our Hunger Hike 2018 event sponsors. Please thank them for joining the Fight Against Hunger — and support their businesses, please. 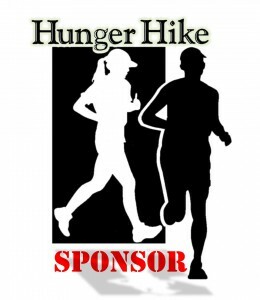 Wish to be a Hunger Hike Event Sponsor? If so, please call or email us (765-423-2691 | hungerhike@lumserve.org). Learn more about Hunger Hike, click HERE. Hunger Hike relies on dozens of volunteers for the Hunger Hike Kick-off event & 3K Walk and more. Please consider becoming a Hunger Hike volunteer as well as a Hunger Hike fundraiser. Sign up to volunteer online, click HERE. Become a Hunger Hike 3K Walk participant, raise $50 or more and bring your donation to Check-in on Sunday, September 22, from noon to 2 p.m. Create a personal Online Fundraising Page, click HERE; use your email contacts and send a personalized email message to your friends and family asking for and collecting donations online to support your participation in Hunger Hike. Collection Form – print & use to keep track of your donations. Check-In is located at Riehle Plaza, N 2nd Street, Lafayette. Fundraising Participants may drop off their donations and pick up their T-shirt before the 3K Walk on Sunday, September 22 starting at NOON. The Hunger Hike 3K Walk start/finish point is Riehle Plaza, N 2nd Street, Lafayette. Map is below. Be a part of the annual Hunger Hike 3K Walk and Hike to Feed the Hungry. The Hunger Hike 3K Walk is open to participants of all ages and abilities who share a common goal: Fighting Hunger! The Hunger Hike 3K Walk will convene at Riehle Plaza, N 2nd Street, Lafayette. The 3K Walk route is flat and paved and allows participants to walk while enjoying a scenic route along the Wabash River in early autumn. 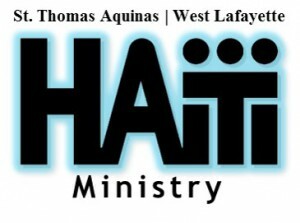 All Hunger Hike 3K Walk proceeds directly support the Lafayette Urban Ministry food assistance programs including the LUM Food Pantry; Food Finders Food Bank, Inc.; and St. Thomas Aquinas’ Haitian Ministry including the Haiti Water Purification Project. It’s an opportunity to support these outstanding local organizations while enjoying a meaningful community event. Each individual must raise at least $50 to be a Hunger Hike 3K Walk participant. Each Hunger Hike 3K Walk participant will receive a Hunger Hike T-shirt, water and a snack. Participants may purchase additional Hunger Hike T-shirts for $15.00 each. 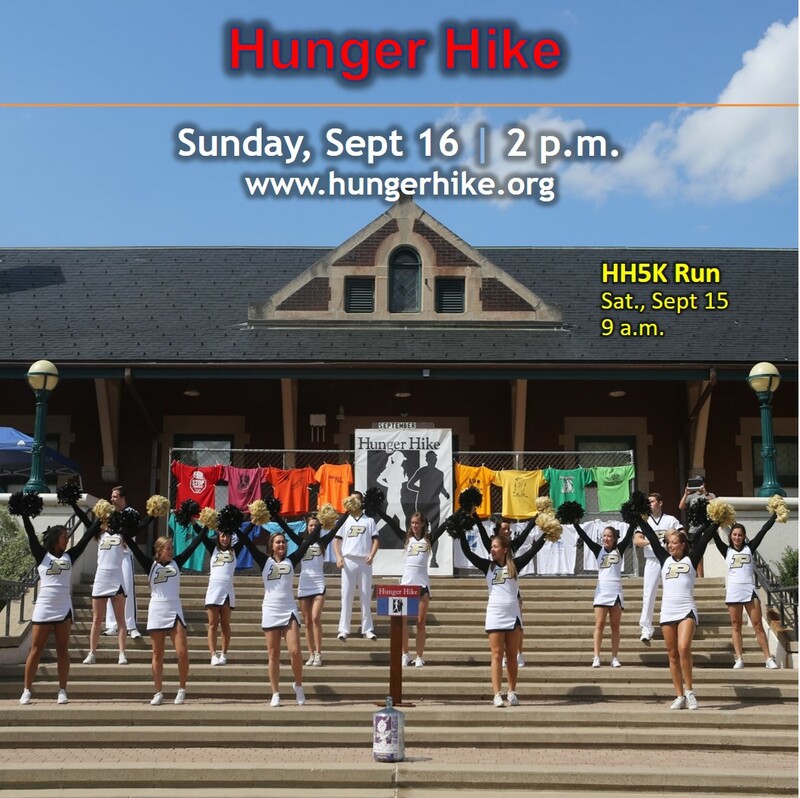 Participants may bring their donation to the Hunger Hike 3K Walk Check-in on Sunday, September 22. Participants may also use the Hunger Hike online fundraising page and join (or start) a Hunger Hike fundraising team. This will allow you to email your contacts and send a personalized email message to your friends and family asking for and collecting donations online to support your participation in Hunger Hike. To create a personal online fundraising page, click HERE. Participate in the Hunger Hike 3K Walk even if you’re Out of Town, prefer walking on a treadmill, or just want to sleep in –- and make a difference as a Hunger Hike 3K Walk Virtual Walker. Each Virtual Walker will receive a Hunger Hike T-shirt and will be listed in the final results as a supporter of the Hunger Hike. All Hunger Hike 3K Walk participants who raise $50 or more for Hunger Hike will receive a special Hunger Hike T-shirt. Participants will be provided with water and a snack following the walk. Thank our event sponsors — and support their businesses, please. 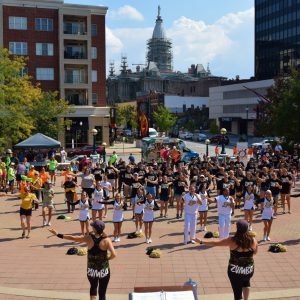 Hunger Hike 2018 event sponsors, list HERE.